My apologies for the delay in InFocus this month (not Dinah’s fault!). I originally wrote this column during Spring Break, but my focus this month is our budget and things keep evolving, so I delayed this e-letter a couple of times. Much is still fluid, but I will share what we know about our College budget today. On the tuition front, you have all seen President Daniels’ announcement that Purdue tuition will be frozen for the next two years. The $40M figure (‘cost’ of this tuition pause) represents the tuition income we would have generated from two years of tuition increases at 2.5% per year. Last week, the President outlined some first steps on closing this $40M gap, but no further details have been provided yet. We will hear more in the coming weeks about what this tuition pause will mean and how our College will be asked to respond. Federal Funds: Sequestration is a word we now all know. The sequestration process officially went into effect March 1. Our federal capacity funds for research and extension represent about 20% of our hard-funded budget. To make a long story very short, we will likely be looking at an 8% cut in our federal capacity funds (about $1M) before all is said and done. We have set aside reserves to deal with these sequestration/FY 13 federal budget cuts, so the direct short-term impacts will be few. But, if these reduced levels become the new baseline, we will need to reduce our College hard-funded budget accordingly. More broadly, many of you are keenly aware of the implications for the federal budget situation on our competitive grants. The uncertainty of the federal budget and sequestration cuts have created a very, very difficult competitive funding environment. We will continue to do all we can to make sure Purdue Agriculture competes at the highest levels for available funds, and we are pursuing options for bridge funds, exploring implications for P&T, etc., in response to this challenging funding environment. State Line Items: Our state funded line-items for research and Extension, county Extension (plus county match), and the Animal Disease Diagnostic Lab (ADDL) represent about 30% of our hard-funded budget. You may recall that in 2011 we were looking at the possibility of 15% cuts in these line items. Thanks to the good work of the Purdue Council for Agricultural Research, Extension, and Teaching (PCARET) and supportive legislators, we were able to get back to flat funding. This year, the House budget proposes a 3.5% increases on these lines in FY 14 and then flat funding for FY 15. (There is also a one-time equipment investment in the ADDL.) In addition, we are asking for an additional $3M in recurring funding to support our research and Extension program (the initiative is called Agricultural Science and Extension for Economic Development – AgSEED). Many, many friends of the College have supported this request, as has the University. While we have a long way to go between now and the end of the legislative session on April 29, we remain positive about this important request. Of course, state support for our agricultural research and Extension is even more important given the federal budget situation. Summary: One of the downsides of having an economist as Dean is a column like this one! That said, to summarize, at this point we are not sure where our General Fund allocation will end up, but it will likely be lower; we know our federal allocation will be lower—the question is how much; and it looks like our state funded line-items will increase, again the question being how much. We are in a good position to get through these uncertainties in the short-run, and long-run decisions will need to wait for some of this to settle. In the end, while these cuts will be painful, we need to keep them in perspective: at this time we are talking about cutting 1-2% of our hard-funded budget. We have been and continue to be engaged in many initiatives as a College to influence/manage our budget position: trying to put our faculty in the best possible position for external funds; aggressively promoting the difference Extension makes; restructuring areas such as IT and clerical support to find new and better ways of providing service and lowering costs; much development and industry relations activity; building the case for our $3M AgSEED ask…. What can you do? First, we will continue to look for operating efficiencies wherever we can find them – this is a clear priority for President Daniels. If you have ideas, please let me hear them. The University has an email address to which you can send ideas as well: savings@purdue.edu. Second, please keep delivering the exceptional educational experience that is the hallmark of this College, keep focused on high impact Extension programs with priority audiences, and keep using the research resources we have to conduct path-breaking, high impact work on some of our world’s most pressing problems. What you do and will continue to do as faculty and staff every day sure gives us a lot to ‘sell’ to our various funding sources. We will keep you posted as budget news becomes available. As always, I am deeply appreciative of all you do for this College, Purdue, and our many stakeholders here and around the world. April is a pretty amazing month on campus, and I am looking forward to all the upcoming events—recognitions of our students, staff, and faculty, Spring Fest, graduation…. We are going to have a lot of your good work to celebrate over the coming weeks, and I am looking forward to doing just that! The Department of Agricultural and Biological Engineering has been selected by U.S. News & World Report for the fifth consecutive year as offering the best such graduate specialty program in the nation. The complete rankings of what U.S. News & World Report considers the best agricultural and biological engineering graduate programs is available on the magazine's website at http://grad-schools.usnews.rankingsandreviews.com/best-graduate-schools/top-engineering-schools/biological-agricultural-rankings. The magazine also rated Purdue's undergraduate ABE program No.1 last year for the second consecutive year. Updated undergraduate rankings will be released later this year. 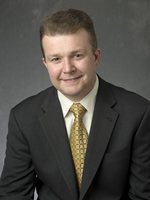 Brian E. Farkas, professor of food science at North Carolina State University, has been appointed professor and head of Purdue's Department of Food Science, effective July 1. He succeeds Suzanne Nielsen, who is returning to her role among the College of Agriculture faculty after serving 10 years as department head. 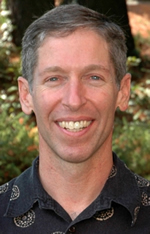 Dr. Farkas received his doctorate in engineering and a master’s degree in food science from the University of California-Davis, and a bachelor’s degree in food science from the University of Delaware. He worked first in the freeze-drying industry before holding research and teaching positions at the University of California-Davis. From there he joined the faculty at North Carolina State University, where he rose to professor and associate department head before he took on the duties of alumni distinguished undergraduate professor and undergraduate coordinator of food science in 2009. "He is a proven leader, and I am very excited about the vision, passion and energy he will bring to the food science department," says Dean Jay Akridge said. "I also want to express my deepest appreciation to Dr. Suzanne Nielsen for a decade of leadership of one of the nation's top food science departments,"
Associate Dean Marcos Fernandez is delighted to announce that Dr. Dennis Buckmaster, Agricultural and Biological Engineering, has taken a half-time position as Assistant Dean and Associate Director of the Office of Academic Programs. He began a three-year term in this position on March 18. Dennis’ primary responsibilities will be to develop initiatives to advance and promote enhancement of instruction, advising and mentoring at the undergraduate and graduate levels; coordinate efforts to promote and expand effective teaching and learning practices in the College; and lead efforts to promote recognition of excellence and improvement in teaching across the educational mission in the College. He will also provide faculty administrative oversight of College of Agriculture courses and academic programs offered during the Summer Session. He will remain in ABE on a half-time basis. The placement rate for graduates of the College of Agriculture has increased for the third consecutive year as they continue to achieve success in landing a job and advancing their education. Ninety percent of May 2012 graduates found employment, enrolled in graduate or professional schools or accepted an employed internship as of Feb. 15, according to the College of Agriculture Employment Summary released by the Office of Academic Programs. That placement rate compares with 86% in 2012, 85% in 2010 and 83% in 2009. "It’s the stereotypical story of an American farmer: Work long hours growing up, graduate high school and take over the family ranch. But changing technology and complex business models are shifting that philosophy, sending future agriculturalists to college before returning home to the farm." So begins a feature in USAToday in which Purdue Agriculture seniors Michael Baird (horticulture production and ag business management) and Jackson Troxel (agricultural economics) were quoted. Both Michael and Jackson plan to return to run their family farms one day, but they're getting valuable outside experience as Purdue Agriculture students. Jackson Troxel, Agricultural Economics, and Mariah Huff, Youth Development and Ag Education, were among 100 college students involved with 4-H, FFA and Agriculture Future of America who were in Washington DC for the National Ag Day conference wrapped around Ag Day on March 19. The group got hands-on media and message training and met with national legislators. Hoosier Ag Today's Andy Eubank interviewed Jackson and Mariah about their experiences. The College of Agriculture and the Council for PK-12 Engagement have launched the 2013 College of Agriculture Faculty and Staff PK-12 Engagement Survey (IRB Protocol #1301013144). Alee Gunderson, graduate student in Youth Development and Ag Education, is leading the survey project. The purpose of this survey is to gather information to help the College and the Council for PK-12 Engagement to plan activities and identify areas for needed support. For more information, contact Alee Gunderson at aleegunderson@purdue.edu. The Council is also sponsoring a PK-12 Engagement on March 28 from 11a.m. to 2 p.m. in WSLR 116. All faculty and staff interested in learning how to interact with PK-12 students or networking with others in the field are invited to attend. Beginning on March 25, participating College of Agriculture departments will collect food and monetary donations to support the Lafayette Food Finders Food Bank. More than 97,000 residents in the surrounding 16-county area are considered food insecure—and 36,000 of those are children. Our donations will not only help stock area food pantries, but will also support the BackPack program that distributes over 3,500 food-filled backpacks to school kids each Friday, often providing the only food a family will have for the weekend. Please bring your food and/or monetary donations to your departmental office. There will be pickups in each departmental area on April 5, with a final pickup on Friday, April 12. The College donated 31,851 lbs. of food last year (almost 5 times more than 2011) and this year’s goal is 40,000 pounds. For information about where to drop your canned goods or monetary donation, contact Luanna DeMay luanna@purdue.edu. You might also want to “like” the Food Drive Facebook page and check it for updates and departmental fund raisers. Ameya Gondhalekar, Research Assistant Professor, Entomology and Manager of the Center for Urban and Industrial Pest Management. Ameya earned his bachelor’s and master’s degrees in agricultural sciences and entomology, respectively from land grant agricultural universities in India. In August 2011 he earned his doctoral degree in entomology from the University of Florida. Before accepting this new position Ameya worked as a post-doctoral researcher in Dr. Michael Scharf’s lab at Purdue Entomology. Ameya brings more than five years of experience in basic and applied urban entomology research. Ameya’s interests and goals in this new position include: the investigation of molecular mechanisms of insecticide resistance in German cockroaches and bed bugs with an ultimate goal of finding ways to overcome resistance; the unraveling of mechanisms underlying various physiological phenomena in urban insects using next-generation sequencing, proteomics and functional genomics; and conducting basic research for enhancing the efficacy of non-chemical techniques used for managing urban pests. Jolena Waddell, Assistant Professor, Animal Sciences. Jolena earned her bachelor’s and master’s degrees from Texas Tech University in animal science and growth and development, respectively. She completed her Ph.D. in molecular genetics, followed by a post-doc in muscle biology, both at Purdue University. Jolena worked as a lecturer and Director of Meat Science Programs at Purdue before accepting this faculty position in meat science extension and teaching. She currently teaches Animal Growth, Development, & Evaluation (ANSC 301) and Meat Science (ANSC 351) for the department. Her current outreach interests include helping small meat processors understand and expand their markets, training more workers for the meat industry, and educating consumers and youth about the meat industry and food animal production. Jolena also has a research interest in food animal efficiency and resulting meat quality. In late 2011, the College of Agriculture initiated a comprehensive facility master planning exercise to develop a Facilities Master Plan that will assist us in making future decisions and addressing priority needs. The plan, which was presented to the College in May 2012, has now been finalized and is available for Agriculture faculty and staff to view. From the drop-down menu on the “Faculty and Staff” link on the Agriculture home page, click on “College Facility Master Plan”. Linda Chezem, Youth Development and Agricultural Education, has been elected to the Board of Directors of the United States Cattlemen's Association (USCA). The USCA works to present an effective voice for the United States cattle industry and to further the interests of cattle producers on many issues that affect the United States cattle industry. Jennifer Dennis, Associate Professor in the Departments of Horticulture and Landscape Architecture and Agricultural Economics, has been appointed by Agriculture Secretary Tom Vilsack to serve on the U.S. Department of Agriculture’s Advisory Committee on Agriculture Statistics. The committee advises the Secretary on surveys of agriculture and other related surveys; the periodic census of agriculture; and, the types of agricultural information to obtain from respondents. The committee also prepares recommendations regarding the content of agricultural reports and presents the views and needs for data of major suppliers and users of agriculture statistics. Jim Forney, Biochemistry, has been selected to receive a 2013 Trustee Teaching Award from the Indiana University Board of Trustees. The award recognizes outstanding teaching and his "efforts teaching biochemistry to medical students" at the Indiana University School of Medicine-Lafayette. He will be honored at the School of Medicine's May commencement ceremony. Catherine Hill, Entomology, and Bryan Pijanowski, Forestry and Natural Resources, have been named 2013 University Faculty Scholars. The University Faculty Scholars Program recognizes outstanding faculty members at the West Lafayette campus who are on an accelerated path for academic distinction in the discovery and dissemination of knowledge. Cate is an associate professor who specializes in vector biology and public health extension. Bryan specializes in spatial modeling and analysis of land use/cover change. Jeff Nagle, Extension IT Specialist, received a "Thumbs Up" from the Extension business office in March: "Jeff did an amazing job assisting us with a presentation for County Extension Offices. His IT knowledge made something that seemed impossible to us a reality. He really went above and beyond and took our presentation from average to rock star. He never made us feel like we were inconveniencing him, and he did all his work with a smile. We can't thank him enough!" Michael Baird, a senior in Agribusiness Management and Horticulture Production and Marketing, won second place in the undergraduate division in the Burton D. Morgan Business Plan Competition on February 19. His business plan was for Cornucopia Farm and highlighted the farm's existing agritourism operation, which features a corn and soybean maze, pumpkins, mums and school tours. Michael also developed three new ideas to expand their operation. He helped identify target markets for these segments and produced projected financial statements for the business’ next ten years. The project was very personal for Michael because Cornucopia Farm is his family business. Molly McKneight, a junior in Food Science, is Purdue's first-ever finalist for a Truman Scholarship, prestigious national academic awards that provide up to $30,000 for graduate study. Each year, the Truman Foundation reviews over 600 applications for the 60 to 65 scholarships it awards. Molly is one of 199 finalists; about sixty Truman Scholarship winners will be announced in April after all finalists are interviewed by review panels. Molly is interested in the application of food and plant sciences to the improvement of global food security. Alex Sinn, a sophomore wildlife biology major and a volunteer for Wolf Park, received the park's “Star Award” for the 4th quarter of 2012. The award is presented by Visit Lafayette-West Lafayette to volunteers for going “above and beyond” the normal expectations of their job. Alex has been a volunteer with Wolf Park since May of 2012. Purdue Agriculture students were part of winning teams at the 2013 Student Soybean and Corn Innovation Contests. The competitions, sponsored by the Indiana Soybean Alliance and Indiana Corn Marketing Council, teach students how to be innovative entrepreneurs with soybeans and corn.The winning corn team created Sky Maize, a biodegradable fireworks casing that is lighter and less expensive than what is now commercially available. Team Members are Alexander Parobek, a junior majoring in chemistry; Jake Hoeing, a junior in agriculture systems management; Polina Navotnaya, a junior in chemistry and biochemistry; and Rachel Clayton, a junior in chemistry. The second-place soybean team developed water-soluble Double Eyelid Glue. Members are Qiting Wu, a senior in biology; Michelle Chan, a senior in health and disease; and Yuqian Chen and Sook Yan Goh, both seniors in biochemistry. The second-place corn team created Fog-Away, an anti-fog glass and mirror cleansing solution. Members are Anbo Wang, a junior in agricultural economics; Mitch French, a sophomore in biological engineering; Hannah Doren, a junior in food science; and Benjamin Lins, a sophomore in chemical engineering. Indiana farmers so far have received more than $1 billion in crop insurance payments from losses last year when drought ravaged crops throughout the state. The payouts are double the previous record. The U.S. Department of Agriculture reports that as of March 11, insurance payouts for 2012 corn, soybeans and wheat losses had reached $1.04 billion. The dollar amount will likely grow somewhat in coming weeks as final claims are filed, said Chris Hurt, Purdue Extension agricultural economist. "These crop insurance indemnities are the primary reason the state's farm sector income has not collapsed under drought losses," Hurt said. "The income-stabilizing impact of crop insurance has helped keep rural communities economically healthy." The previous record amount of insurance indemnity payments to Indiana farmers for the three crops was $522 million in 2008. Those concerned about the spread of Asian carp in Midwest rivers had some comfort in the expectation that varieties of these invasive fish could only invade a restricted range of river conditions - until now. A study led by Reuben Goforth, Forestry and Natural Resources, shows that Asian carp are spawning in waters generally thought too narrow or slow moving. And while spawning was thought to end sometime in July, researchers have found evidence of fish spawning far upstream and eggs drifting in water as late as September in the Wabash River. "It looks like the carp can probably become established in a wider range of environmental conditions than once thought," said Goforth. "While the presence of eggs indicates successful spawning by these fishes in new areas, it's not known yet whether those eggs would be successful in surviving to adulthood." Midwestern entrepreneurs interested in starting their own food business can learn how to begin and grow their enterprise at a Purdue Extension workshop in Indianapolis. "An Introduction to Starting a Specialty Food Business in Indiana" will be held April 25 from 7:45 a.m. to 5 p.m. at the Indiana Farm Bureau offices, 225 S. East St. Sessions will cover a variety of topics, including business planning, marketing, entrepreneurship, product development and packaging, as well as issues specific to food businesses, such as food safety, food regulations and organic products. Featured presenters will include Sharon Farrell of the Indiana State Department of Health and Cissy Bowman and Jessica Ervin of Indiana Certified Organic. A termite's own biology with help from microorganisms called protists, are keys to the insect's digestion of woody material, according to Michael Scharf, Entomology. He studies termite digestion to improve biofuels production and find better ways to control termites. The U.S. Department of Agriculture estimates the cost of controlling termites and repairing damaged homes is $2 billion each year in the United States. Much of the study on how termites break down woody materials, which focused on the symbiotic relationship between the insect and the bacteria living in its gut, found that bacteria apparently have little, if anything, to do with termite digestion. Scharf and collaborators at the University of Florida wanted to see how diet affected those bacteria. If the bacteria play a role in digestion, the type of materials the insect eats should affect the composition of the bacterial community living in the termite gut. An updated assessment of Indiana's financial outlook in April will be a key consideration for state lawmakers as they decide whether to increase spending over the next two years or reduce the state income tax, or possibly do both, Purdue Extension economist Larry DeBoer says. "The April budget forecast looms large," DeBoer said. "It's the thing that could iron out the disagreement that the governor and the House are having at the moment. To a greater degree than usual, we are looking forward to this budget forecast revision." The General Assembly by the end of April is to pass a new state budget for the next two fiscal years that begin in July. Gov. Mike Pence has proposed reducing the state income tax by 10 percent - from the current rate of 3.4 percent to 3.06 percent. But his plan did not make it into a budget passed in late February by the House, which is controlled by his own party. The Senate, where the GOP also holds a supermajority, is now crafting its version of the budget. Food, health and nutrition are the focus of two $50,000 grand challenge awards recently funded by the Purdue's Global Policy Research Institute. These grants are presented in collaboration with the College of Agriculture and the College of Health and Human Sciences. The first project focuses on food security issues in Kenya, which is home to one of the largest populations living with HIV. The study's goal, led by horticulture professor Stephen Weller, is to evaluate sustainable systems and policies to help low-income people living with HIV improve their nutritional needs. Healthy nutrition is key to the medical care they receive to manage their HIV. The second project, led by basic medical sciences professor Sophie Leliévre, looks at epigenetics related to dietary supplements and fortified foods. Robert Zoellick, senior fellow at Harvard University's Kennedy School of Government and former president of the World Bank Group, U.S. deputy secretary of state and trade representative, will give the James C. Snyder Memorial Lecture on April 12 at Purdue University. The 39th annual lecture, named for the late Purdue agricultural economics professor, takes place 1:30-3 p.m. in Stewart Center's Fowler Hall and highlights a day of events hosted by the Department of Agricultural Economics. Other activities are a panel discussion on world agriculture and an awards program. All events are free and open to the public. Zoellick will speak on the topic "The Changing Global Economy of the 21st Century: Prospects and Challenges." The National Science Foundation has awarded a Phase II Small Business Innovation Research (SBIR) grant to a life sciences company to develop a technology called pIMAGO that promotes the discovery of new disease targets in laboratory settings. Tymora Analytical Operations received a two-year grant worth $500,000 that is a continuation of the Phase I grant it received in 2011. The company was founded by W. Andy Tao, Biochemistry, and Anton Iliuk, a former Purdue Realization and Entrepreneurship Postdoctoral Fellow. "pIMAGO analyzes phosphorylation, a biological event related to many diseases such as cancer," Iliuk said. "We have created the technology to help researchers develop drug candidates to battle cancer, diabetes, and immune system and neurological disorders." The Graduate School encourages graduate students to participate in a new event called the 3MT Challenge. The Challenge to graduate students is to present their graduate research in an engaging, compelling format in just 3 minutes and using only one slide. The competition is open to all disciplines across the university and all currently enrolled graduate students. Cash prizes will be awarded, including an award for the top presentation determined by an audience vote. For additional information please go to the Graduate School home page (www.gradschool.purdue.edu) and click on the news link or (http://wwwdev.gradschool.purdue.edu/whatsnew/3mt.cfm). The 3MT Competition will be held on April 17 at 7pm in Fowler Hall. Pre-registration required by April 4 incase preliminary rounds are needed. Faculty and staff are encouraged to submit ideas for cost-saving measures to a new designated email account. The account is savings@purdue.edu. Conversations about cost-saving measures still should happen at the college and unit levels, but faculty and staff may send suggestions and ideas to this account, too. To help identify cost-saving measures, faculty and staff should assess current practices and expenditures in their University units to find those that do not further the core missions of learning, discovery and engagement, or that do not lead to students' affordable access to Purdue. Ideas for saving could include expenses that once made sense but no longer do, or operations that would take place less expensively if consolidated. Ideas and suggestions sent to the account will be collected and assessed in the coming weeks. Purdue University's Bindley Bioscience Center next week will provide a snapshot of the current research under way at the Discovery Park facility – from technology development to biological and nanotechnology materials. Bindley's 2013 Discovery Symposium is from 9 a.m. to 1:30 p.m. March 26 in the Burton D. Morgan Center for Entrepreneurship, Room 121. The public is invited to attend. Lunch will be served, but reservations are required by contacting Susan McCreery 765-496-6147, smccreer@purdue.edu. As artists, Purdue professors Shannon McMullen and Fabian Winkler aren't afraid to get their hands dirty. Neither are their students. Both spent hours digging holes for their upcoming public art installation beginning the week of March 18 outside Purdue University's Elliott Hall of Music. McMullen and Winkler are working with 17 Purdue freshmen in the Honors College to create the second National Security Garden public art instillation to celebrate that "something else:" soybeans. The project is a 16-by-12-foot planter box filled with rows of Edamame soybeans. A solar tower next to the box collects power for the magenta colored lights, comprised of red and blue LEDs, which refer to the light wavelengths that have the most influence on plant growth. When those lights turn on, the piece takes on a whole new look and meaning. Author and researcher Samantha King, who wrote the 2006 book "Pink Ribbons, Inc.: Breast Cancer and the Politics of Philanthropy," will headline a panel discussion for this spring's Cancer Culture & Community Colloquium at Purdue University. King, an associate professor, associate director and graduate coordinator for the School of Kinesiology and Health Sciences at Queens University in Ontario, will join experts from National Public Radio, Indiana University and Purdue for the event. The panel discussion, titled "The Unintended Consequences Pink - Reorienting the Cause," is at 7 p.m. April 15 in Krannert Auditorium.